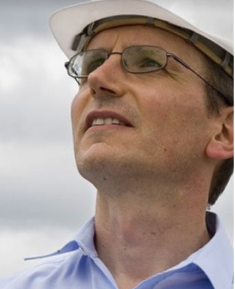 Phoenix Tower International bullish on Latin America opportunity. 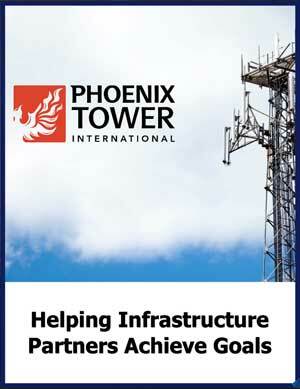 Phoenix Tower International’s mission since its creation in 2013 has been to own/operate high-quality wireless infrastructure sites in stable markets experiencing strong wireless usage growth, and its current expansion initiatives are focused on Central and South America and the United States. The company’s founder and chief executive officer, Dagan Kasavana, had been senior vice president of mergers and acquisitions at Global Tower Partners, up until that business was sold to the American Tower Corporation late in 2013. But rather than taking the chance to disconnect when the transaction was finalized, he was so convinced of the market’s long-term vitality that he kept right on working. And when he said “right back into it,” yes, he really meant it. Kasavana started the new operation the day after the American Tower deal was completed, and immediately went about raising funds to support their corporate vision of having a multinational tower owner/operator that would work with developers to build towers across Latin America and the United States. The intense capital-seeking period lasted about six months, Kasavana said, and yielded a group of well-heeled investors able to immediately assist with an aim toward aggressively attacking the market and its wireless growth opportunities. A series of transactions followed in which the new enterprise acquired a series of available businesses to bolster its complement of services. Perhaps most notable among the moves was a September purchase of American Tower’s roster of 60 telecommunications sites in Panama, which included a mix of towers in urban and suburban locations that are occupied by all of the country’s major wireless carriers. 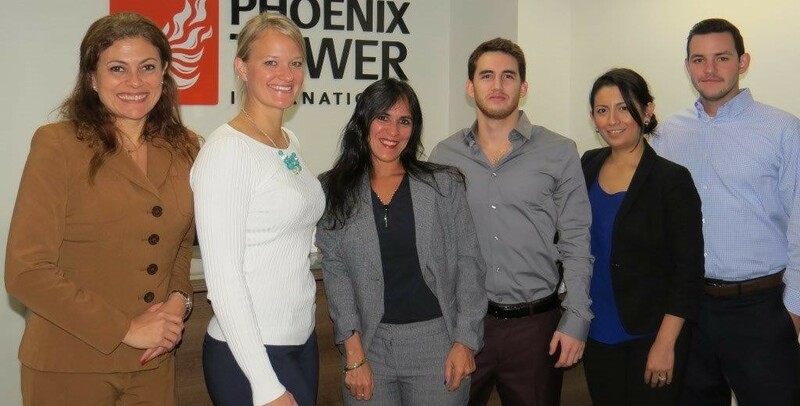 Now 13 months into its existence, Phoenix Tower International boasts a workforce of 20 employees stationed at offices in Brazil and Costa Rica, along with the corporate headquarters in Boca Raton, Fla. Its senior leadership includes Timothy Culver, chairman of the board and senior legal advisor; Orlando Porras, chief financial officer and Natalya Kashirina, vice president, mergers and acquisitions. The particular zeal for Latin America, Kasavana said, comes from typical technology lag time. Phoenix Tower deals most often with the regional wireless operators in the countries in which it has a presence, and tries to make sure it can either provide existing towers directly for those operators or partner with developers who can provide them across the region. It has long-standing relationships with significant U.S. operators like Verizon, T-Mobile, AT&T and Sprint, as well as Latin American powerhouses like Telefonica and Claro. Beyond Latin America, the company does “certainly see opportunities across the world” that it’s spending some time on, Kasavana said, and expansion into those territories is indeed projected. Canada, Europe and Asia provide particularly interesting future opportunities, he said, though the areas where operations are now ongoing figure to remain priorities for at least the time being. “We’ve always believed that the tower space and the telecom space is actually a really small space to be in,” he said. “You make relationships in this space that last a long time. It’s a great industry to work in and people generally enjoy the growth that the industry has seen. We’re big relationship people here. We believe that as long as we’re honest with people and we do what we say we’re going to do, we’ll get repeat business and continue to be partners with them long after the transaction is done. Ownership of more than 1,000 towers throughout Latin America is a corporate goal within the next two years, Kasavana said, though the plans for expansion beyond that are more on an incremental and transactional basis rather than adhering to an artificially strict ratio of towers per year. What’s most vital, he said, is that the enthusiasm for the job remains intact over time. “We’re certainly not looking to be empire-builders,” he said. “But we do believe there’s enough opportunity out there that we’re seeing where owning a portfolio of more than 1,000 towers in the next two years will be very achievable, and that’s where our focus is.